Willow Pool House in Kessingland, near Lowestoft sleeps 10 people. Willow Pool House in Kessingland has a hot tub and games room, and is just 500 yards from the glorious sand duned beach at Kessingland, a traditional seaside village on the Suffolk Heritage Coast. 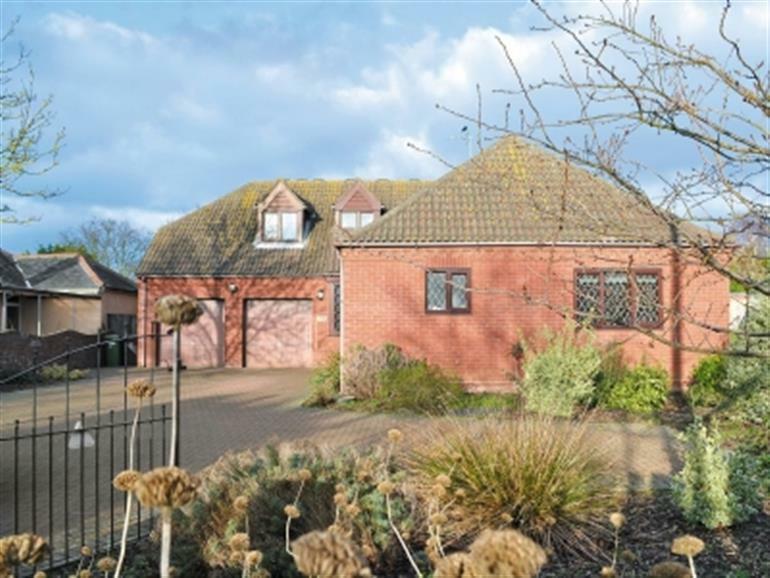 Willow Pool House in Kessinglandis a very spacious, detached holiday home. 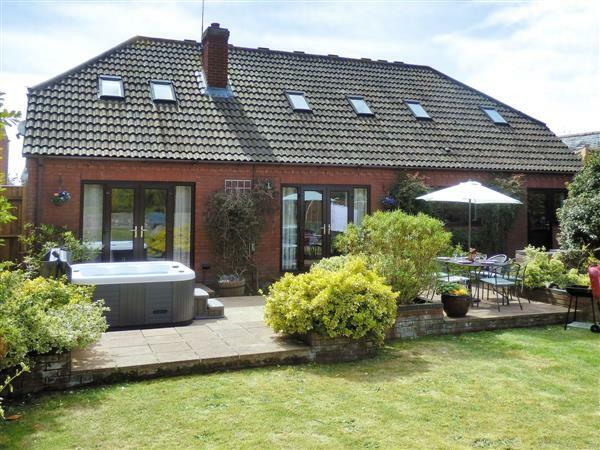 The house has the added addition of a private hot tub, large garden, its own cinema room with a 2½ metre screen and a games room, and is the ideal base for a family holiday or for friends to get together to relax and unwind. Only 4 miles away is the popular resort of Lowestoft, which offers traditional seaside entertainment, and children will love Pleasurewood Hills Theme Park, which is just a short drive away. Just down the road is Africa Alive, or visit the lovely seaside resort of Southwold, famous for Adnams Brewery, the pier and summer theatre. Dunwich Heath and Beach, RSPB Minsmere, Aldeburgh with its fishing boats and local seafood, and Snape Maltings Concert Hall are also easily accessible. Hire a boat on the glorious Norfolk Broads and watch the weekly speed boat racing on nearby Oulton Broad. The medieval city of Norwich, with its fine shopping, castle, cathedral and museums, is an easy drive. The beach is 500 yards, with the shop, pub and restaurant 100 yards from Willow Pool House in Kessingland. Ground floor: Living room with French doors and wooden floor. Dining room with French doors/kitchen with wooden floors. Cinema room. 3 bedrooms: 2 double, one (5ft) with en suite shower room and toilet, 1 twin. Bathroom with bath, shower cubicle and toilet. Utility room. Separate toilet. First floor: Games room. 2 bedrooms: 1 double (5ft) with en suite bathroom with shower attachment and toilet, 1 twin. Separate toilet. Gas central heating, gas, electricity, bed linen and towels included. Cot. Two 48 Smart TVs. DVD. Stereo/CD. Gas hob. Electric oven. Microwave. Washer/dryer. Dishwasher. Fridge/freezer. Wi-Fi. Large enclosed garden with patio, sitting-out area and furniture. Parking (3 cars). Hot tub. Games room with pool table and table football. Welcome pack. Pet free of charge. No smoking. NB: Unfenced pond in garden, 50 yards. Pets allowed at Willow Pool House. For a better idea of where Willow Pool House is, you can see Willow Pool House on the map below. Willow Pool House is in Suffolk; should you be on the lookout for a special offer, you can find all the special offers in Suffolk. It's always worth checking to see what is on offer at the moment. Do you want to holiday near Willow Pool House (30969), you can see other cottages within 25 miles of Willow Pool House; have a look to find your perfect holiday location.